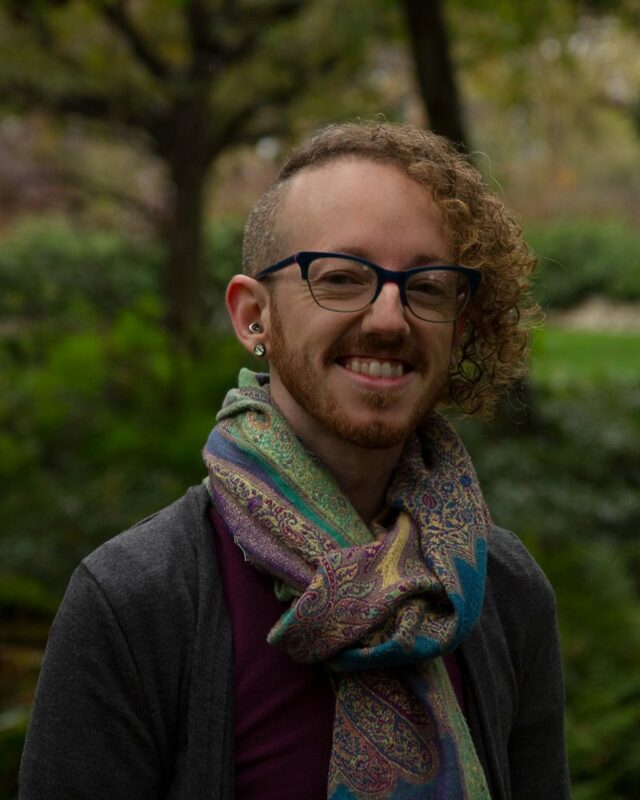 Introducing 2018 TJFP Community Grantmaking Fellow, Shawn Reagor! We’re thrilled to welcome Shawn Reagor to TJFP’s 2018 grantmaking team! Shawn was born and raised in Montana. 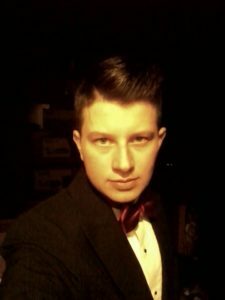 He started getting involved in advocacy work while studying Chemistry at Carroll College. 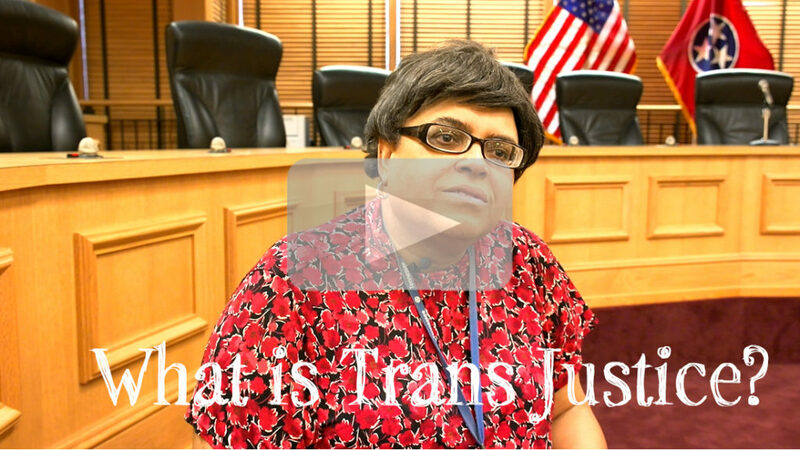 Since then he has facilitated multiple trans and nonbinary support groups across the state, spoken at major conferences, testified on the state and municipal levels, and has been featured in articles and videos. Shawn is the director for the Montana Gender Alliance and works at the Montana Human Rights Network. He has worked on campaigns to prevent anti trans bathroom bills from passing in two states and which includes serving as the campaign chair in Montana. Shawn is especially devoted to providing support and building community for trans and nonbinary folks living in rural areas. He coauthored a journal article examining the effects of living in rural areas on TGNC people’s wellness. In his free time, he enjoys camping with his wife, Kasandra, and cat, Copernicus. We can’t wait to work with you Shawn! Comments Off on Introducing 2018 TJFP Community Grantmaking Fellow, Shawn Reagor! Introducing 2017 TJFP Community Grantmaking Fellow, Quentin “Que” Bell! We are so excited to welcome Que to the 2017 TJFP community grantmaking panel! 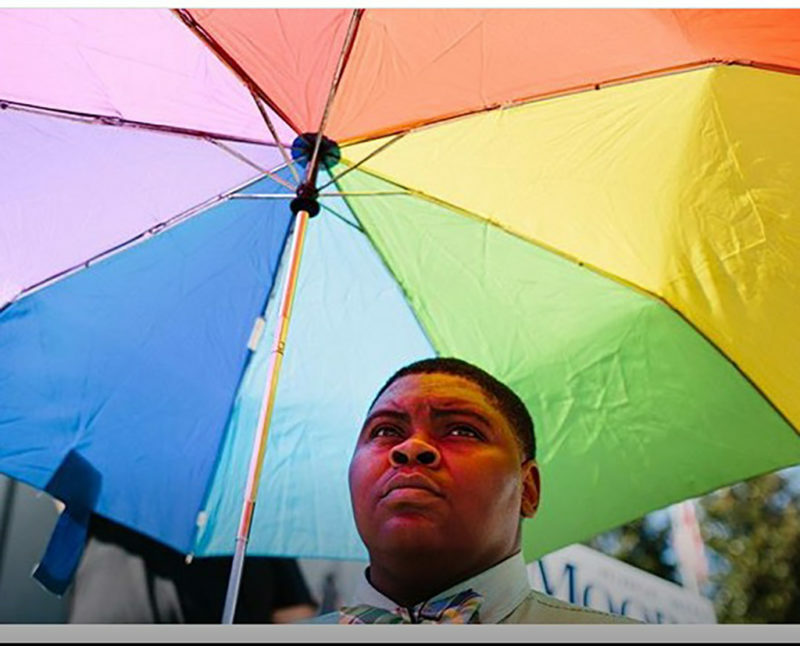 Quentin “Que” Bell is a Black Trans activist, entrepreneur, and mentor born and raised in historic Selma, Alabama. Que received his Bachelor’s degree from Alabama State University in Business Administration with an Entrepreneurial Concentration. In the fall, Que, will be attending Auburn University pursuing a Master’s of Public Administration focusing on Non-Profit Management. While at ASU Que found a way to combine his entrepreneurial spirit with his passion for advocacy and founded The Knights & Orchids Society. TKO is a southern centered grassroots startup led by black, queer, transgender, and gender non-conforming people fighting at the intersections of racial and gender justice. 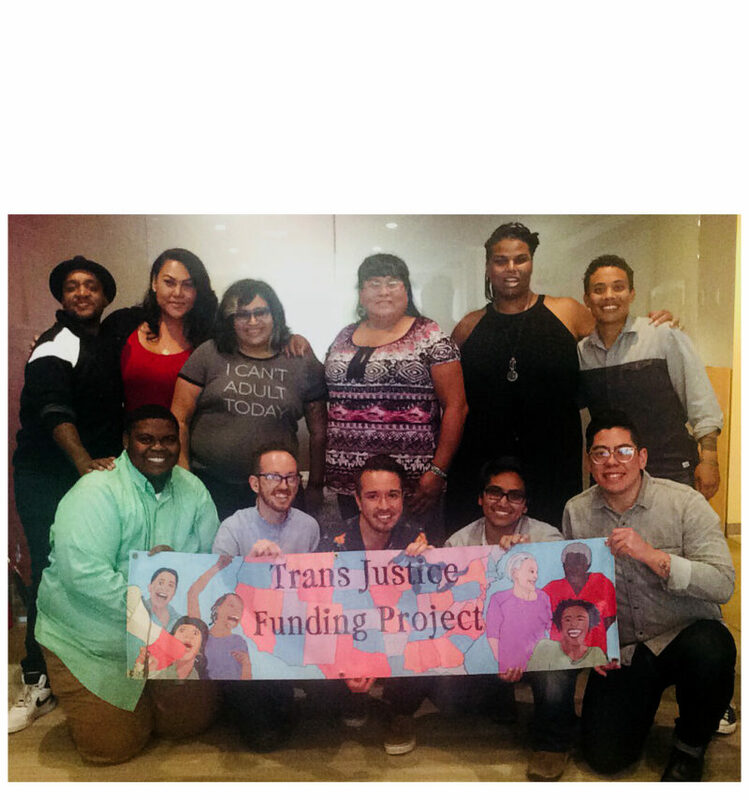 Since 2012 Quentin’s goal remains unchanged, to improve the quality of life within the LGBTQ+ community by creating safe spaces that empower, educate, and unite Trans, GNC, & Queer role models of color. Que has dedicated his adult life to actively serving in leadership positions to help advance the fight for LGBTQ equality and inclusion while increasing visibility for Trans men of color. Comments Off on Introducing 2017 TJFP Community Grantmaking Fellow, Quentin “Que” Bell! Introducing 2017 TJFP Community Grantmaking Fellow, Drew Jones! We are so excited to welcome Drew Jones to the TJFP team! 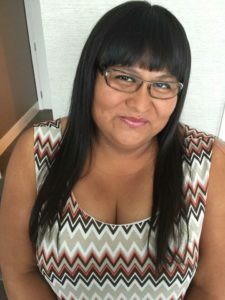 Drew is a white trans queer parent who started engaging in community advocacy work 15 years ago, starting with founding the first trans youth support group in Dallas. He received his BA in Anthropology with a minor in Ethnic Studies from the University of North Texas. At Gallaudet University he completed his MA in Deaf Cultural Studies with an award winning ASL based documentary made with a young Black Deaf trans girl about her experiences at her Deaf school in DC (A Brutal Awakening, 2007). After 8 years in DC and Philadelphia, sudden illness brought him back to Texas, where he is focusing on raising his young kids and supporting social justice work and community through Dharma teaching. Comments Off on Introducing 2017 TJFP Community Grantmaking Fellow, Drew Jones! We’re almost at the $10k mark! 50k by 5/25! Can we count on you to dream big with us this year? It’s TJFP’s 5th year and our community grant making fellowship team is finishing up reading ALL 176 applications before arriving in New York to make final decisions by the end of this month. We’re so close to the $10,000 mark and we still believe that with your help, we can make our $50k by 5/25 goal. No donation is too big or too small-so even if you can donate $1, it really does make a difference. Let’s show these groups what support looks like, especially in 2017. Together, we got this. Trans justice NOW! Comments Off on We’re almost at the $10k mark! 50k by 5/25! Introducing 2017 TJFP Community Grantmaking Fellow, Wriply Bennet! A very warm welcome to TJFP’s second 2017 Community Grantmaking Fellow, Wriply Marie Bennet. Wriply Marie Bennet is a painter and illustrator, born and raised in Ohio. She uses her art to uplift her sisters in the black lives/ black transgender lives movement. She works in ink, watercolor and other mediums, and her art comes from an untrained perspective. She never aspired to attend college to study art, and there are no degrees to speak of other than a high school diploma. Her art is proudly self-taught. Her organizing work started with the Trans Women of Color Coalition, and she has been an activist since Ferguson, where she was a freedom rider traveling to stand with the family and community of Mike Brown. Wriply’s work expresses the power, strength, and resilience that trans women of color have to persevere, and the grace and beauty of her culture. 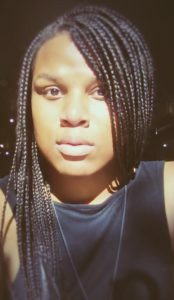 Her work uplifts the young black trans women we’ve lost and continue to lose every year, and sheds light on the fact that there has been no national outcry. Wriply’s art has been used in countless social justice flyers, and in November will be making its first film debut in MAJOR!, a documentary at the 2015 San Francisco Transgender Film Festival. Wriply is much more than a visual artist; she’s also a singer/song writer, actor, screenplay writer, story teller, cartoonist, and fashion designer. She continues to work and fight for justice! For art will travel. Comments Off on Introducing 2017 TJFP Community Grantmaking Fellow, Wriply Bennet! Give OUT Day 2016 is this Tuesday 8/2! Give OUT Day is the ONLY national day of giving for the LGBTQ community – a 24-hour online fundraising event that unites the LGBTQ community from all 50 states, Puerto Rico and D.C. to raise critically needed funds. Many of TJFP’s grantees and applicants are participating. Please consider donating to them directly! Check out the list of groups that are participating in this year’s Give OUT day and make a donation here! 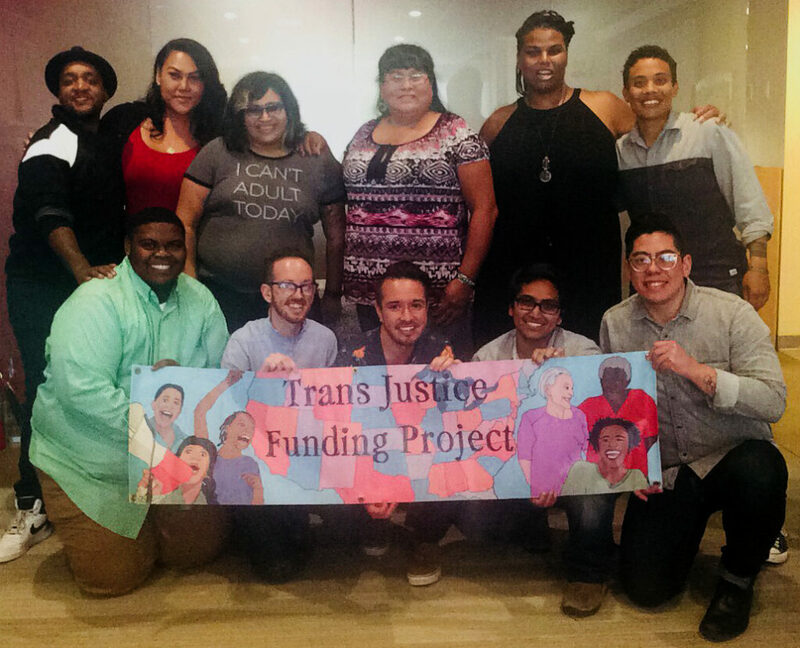 If you’d like your donation to support grassroots, trans-led, trans justice–here’s a helpful directory of groups that met TJFP’s criteria. Comments Off on Give OUT Day 2016 is this Tuesday 8/2!